This week I am sharing some entries to our team challenge to create a project using colouring. There are so many ways to colour in paper crafting and I am sure that you will be inspired by all the projects shared below to pick up your own colouring tools and get crafting! I had wonderful fun colouring in these baubles. I really am a novice at colouring but when you use watercolour paper its really easy. 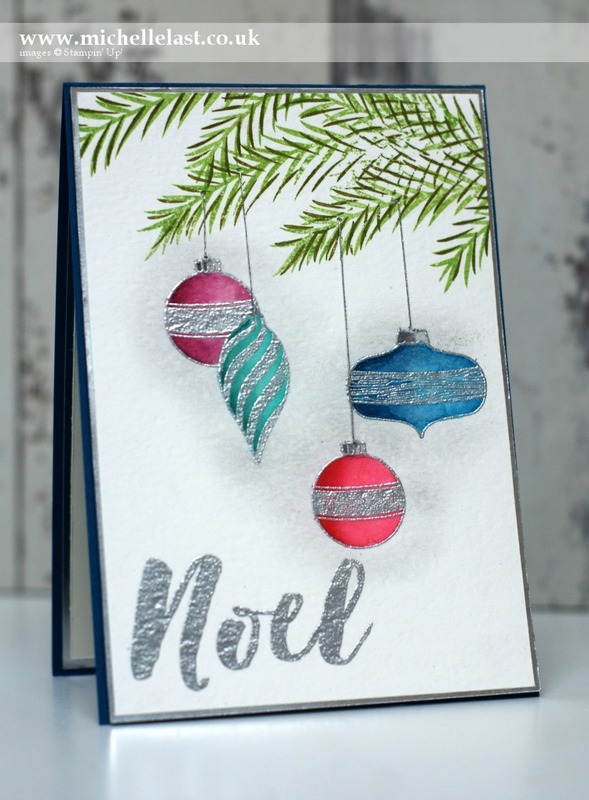 I stamped the baubles in versamark and embossed in silver embossing powder. I then was able to use my aqua painter to colour the baubles and add shading by going over the same patch of the bauble. As watercolour paper is super absorbent its means you can colour repeatedly over the same spot to create the shading or graduation of colour. 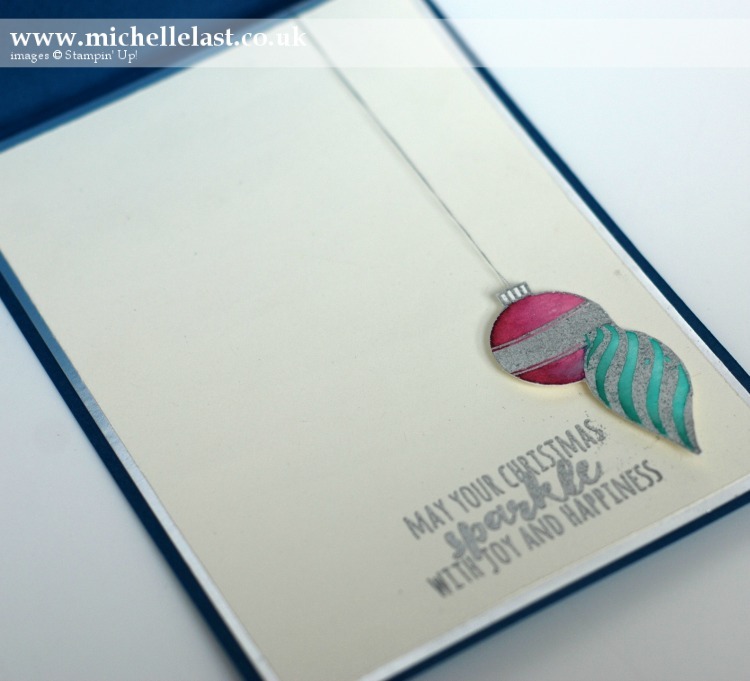 I wanted the baubles to pop off the background so I added a smoky slate background using a dauber. I then stamped the tree branches from Christmas Pines in two colours of ink. I then threaded the silver metallic thread from the top of the bauble to the branch so they look like they are really hanging from the tree. I added the Noel sentiment and embossed that too. I then stamped, coloured and cut out two more baubles which I added to the inside with another sentiment. So my wonderful team members have also been colouring and have entered their projects into a challenge and I would love you to vote for your 3 favourite projects. Take a look at all the entries below and please vote for your three favourites by clicking the heart in the top right of the image. 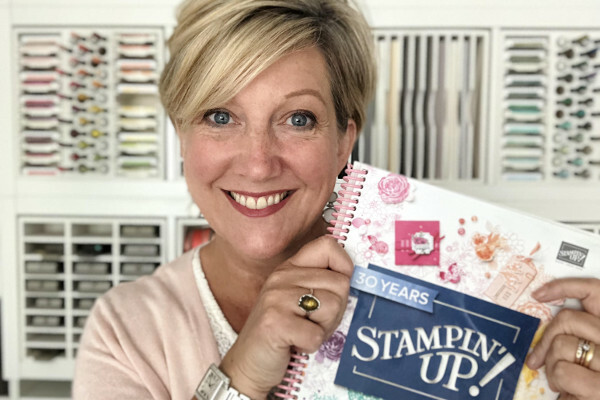 Voting closes on Thursday 27th October at midnight and the winner will be announced on Friday in a new blog post and they will also receive a £20 Stamping Spree with me! Below are the supplies I used to make my card, simply click any of the images to go direct to my online shop to place your own order. Don’t forget to add the monthly hostess code to receive a free thank you gift for shopping with me. Thanks for voting, we really appreciate it and I cannot wait to see which 3 are your favourites and announce the winner on Friday! Wow! as a novice water colorer the results are beautiful.